Family Dentist In Lancaster Gives Tips For National Children’s Dental Health Month! Did you know that an estimated 42% of children ages 2-11 have untreated cavities? Unfortunately, cavities not only affect your child’s smile now but in the future as well. Since February is National Children’s Dental Health Month, it’s a great time to learn about the importance of good oral health in the early years and how you can prevent problems from the start. 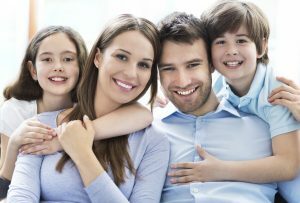 Not only will you minimize the amount of dental work your child needs from a family dentist in Lancaster,you’ll also help them have a healthy smile for life! Comments Off on Family Dentist In Lancaster Gives Tips For National Children’s Dental Health Month! Do you avoid smiling or eating around others because you worry that they might notice your missing tooth? You are not alone. In fact, nearly 70% of adults aged 35 to 44 in the United States have one or more missing teeth, according to the American Association of Oral and Maxillofacial Surgeons. Fortunately, thanks to advancements in modern dental care there is now a range of options to restore your smile, including dentures and dental implants. Want to know which option is right for you? Find out below why dental implants in Lancaster are the best long-term solution to replace missing teeth. The new year is coming. Are you ready for it? Do you have any big plans and dreams that you want to pursue this year? Perhaps one of the things you want for 2019 is a new and improved smile. After all, it’s one of the first things that people notice about you. Unlike with the typical resolutions that end up in failure in February, don’t give up on your goal of a perfect smile. 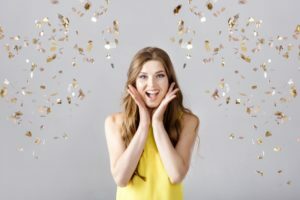 Start the new year off right by talking to a cosmetic dentist in Lancaster about how you can transform your teeth and boost your confidence in 2019. Over 500,000 people every year are turning to the most reliable solution to replace their missing teeth. 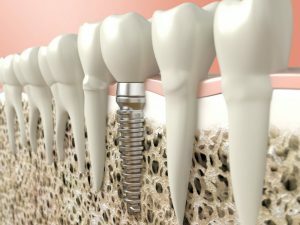 Dental implants allow you to regain the next best thing to your own teeth with an option that offers over a 95% success rate. Your implant dentist in Lancaster can fill the spaces in your smile with a customized treatment plan. 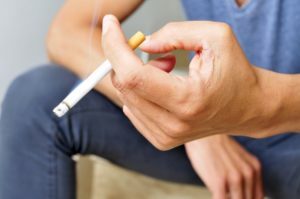 Although they are designed to last for a lifetime, there is one big factor that can increase your risk of implant failure – smoking. How an Implant Dentist in Lancaster Can Make Your Denture Fit Better! When you go out to eat with friends, family or coworkers, is your first thought to determine which item you can eat confidently? 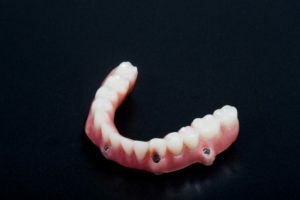 Do you worry about your denture slipping or shifting as you chew, possibly even falling out and drawing unwanted attention to yourself? Millions of people missing their teeth deal with the same issue every day, but there are solutions to make chewing, speaking and laughing easy again. To learn how an implant dentist in Lancaster can improve your biting force, smile, and overall quality of life, keep reading! Comments Off on How an Implant Dentist in Lancaster Can Make Your Denture Fit Better! 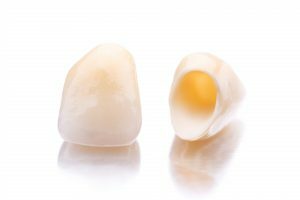 Are Sealants Considered Preventive Lancaster Dentistry? If you were to ask your little one what they want for dinner, their likely answer would be something along the lines of cake or ice cream. Children love sweets! However, these candies and carbs aren’t great for their teeth and cause many kids to experience tooth decay and cavities. 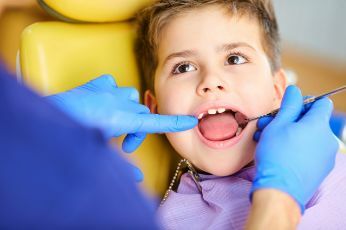 Thankfully, your children’s dentist is thinking ahead with effective preventive Lancaster dentistry, including dental sealants for their little teeth! Learn more about dental sealants for children’s teeth in this week’s blog post. Comments Off on Are Sealants Considered Preventive Lancaster Dentistry? Need Help Choosing the Very Best Dentist in Lancaster, TX? If you have a dental practice that you “call home,” but it doesn’t feel like home or comfortable when you visit, it’s time to look for a better fitting dentist. Choosing the best dentist in Lancaster, TX for you doesn’t have to be an overwhelming task—and you should never settle for anything less than exceptional dental care and outstanding customer service. Learn more about what sets a great dentist apart in this week’s blog post. Comments Off on Need Help Choosing the Very Best Dentist in Lancaster, TX? It’s easy to take teeth for granted. Sure, on the surface of things they may seem a bit boring, but your little chompers are actually pretty interesting! Even if you use your teeth day in and day out without giving them a second thought, in reality they’re one more marvel of the human body. In fact, they can last 90-100 years if properly maintained and can go through millions of chewing cycles in that time. They’re also the first thing people see when you smile! So let’s take a moment to appreciate everything teeth do and look at some fun facts from a dentist in Lancaster TX. For some time, you were dealing with the nagging pain of a decayed tooth and finally decided to take action. You went in to be examined, and your dentist determined that the best route to take for restoration was to add a crown to your tooth. After the procedure, though, you noticed that something seemed a little off about your new application. So you’ve decided to consult with your new dentist about your dental crown in Lancaster. Learn some of the ways of determining whether your crown is good or bad. Modern technology continues to surpass expectations and surprise more people very day. When it comes to dental procedures and products, there is no exception. 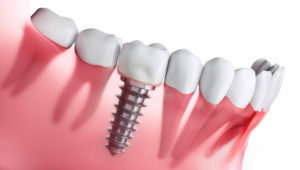 Dental implants in Lancaster are becoming more available to the public, which means more people have questions about dental implants and the implantation procedure. Luckily, the anatomy of the dental implant is simple and straightforward, so anyone can understand their parts once explained by their dentist.